So wonderful to have this beautiful book in my hands! 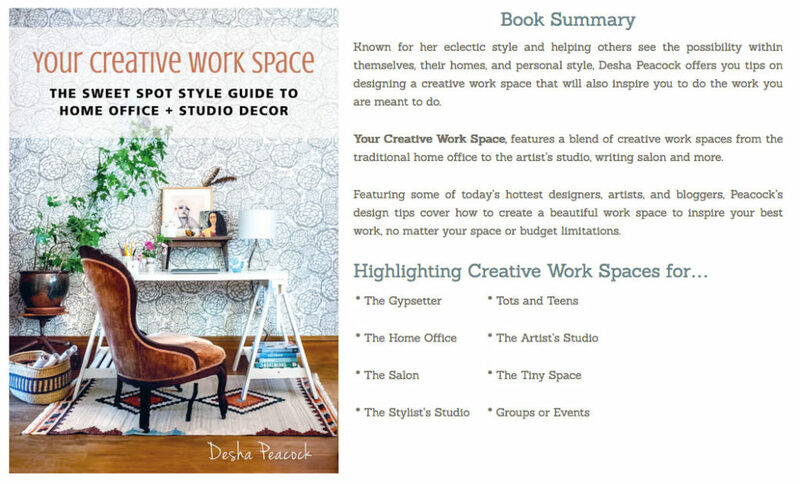 The very talented LifeSTYLE Design Coach Desha Peacock from ‘Sweet Spot Style‘ has written and curated Your Creative Work Space, which features a blend of creative work spaces from the traditional home office to the artist’s studio, writing salon and more. 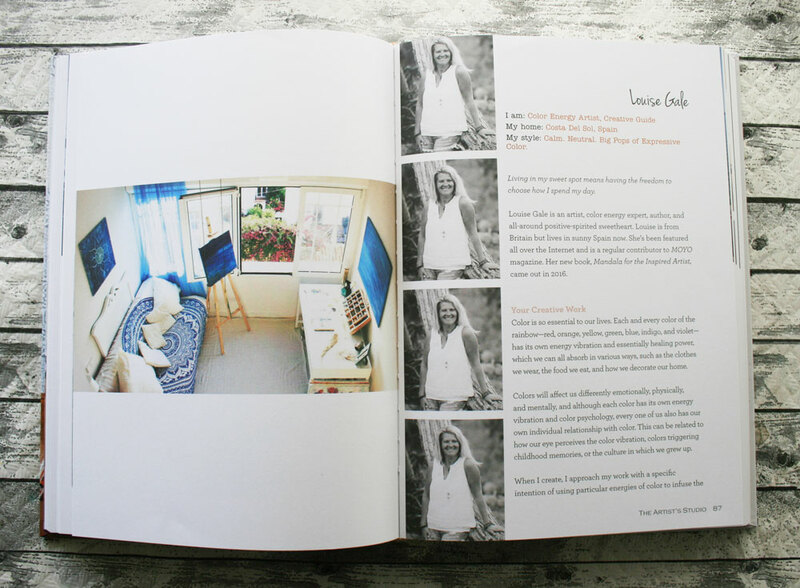 I am so thrilled to have an eight page feature in the Artists Studio chapter amongst some amazing artists. 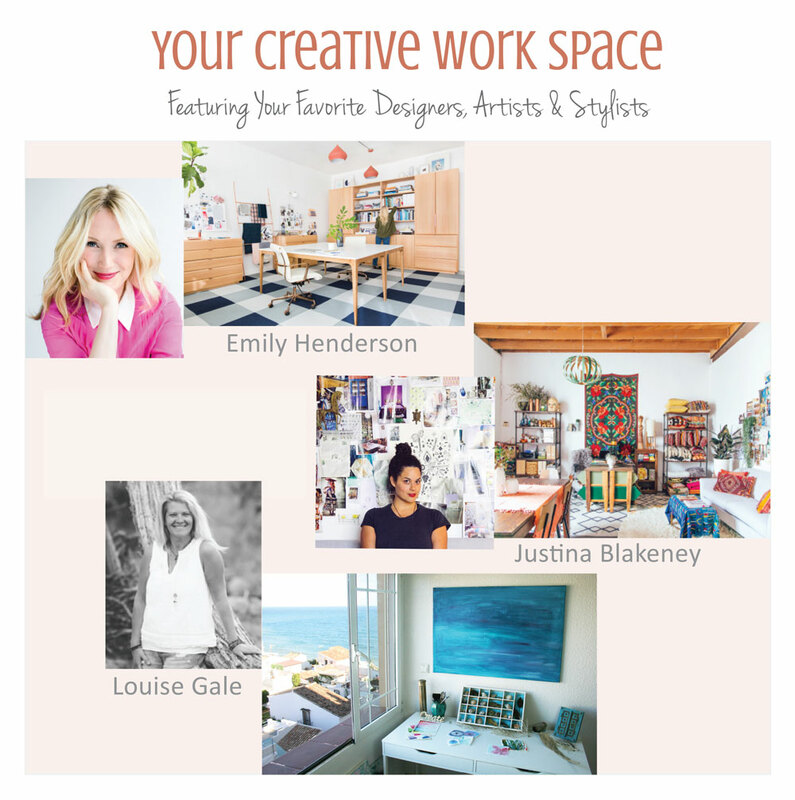 The book also features many that you may recognize and it is so exciting to be amongsh household names such as Justina Blakeney, Holly Becker, Emily Henderson, Flora Bowley and Amira Rahim. 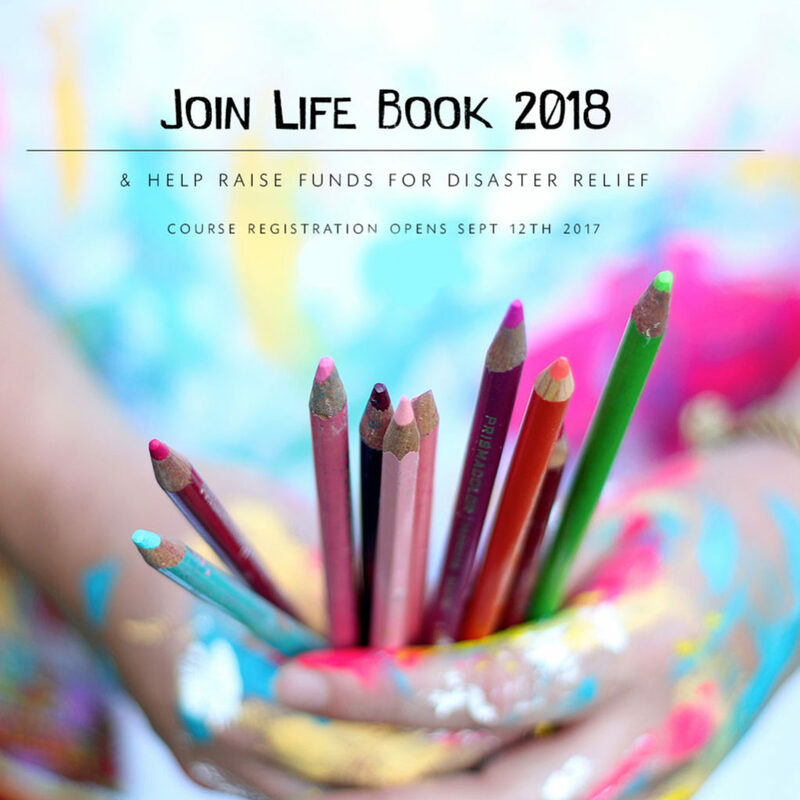 Believe me, there are so many beautiful souls and places featured in this book! 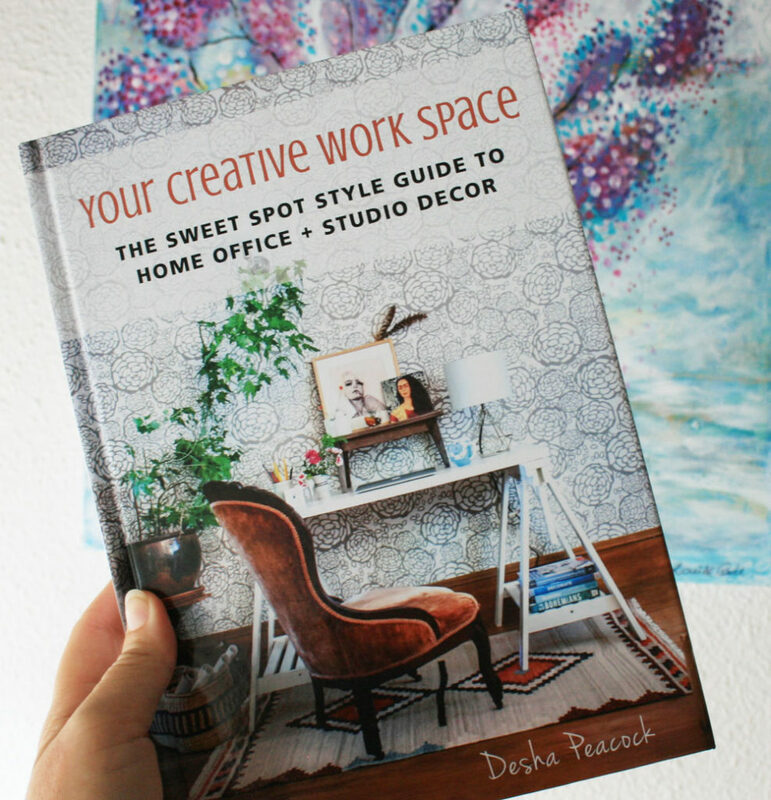 The whole book is full of inspiring spaces, tips and is a book you NEED to have in your bookcase or on your coffee table for guests to swoon over and read all about the inspiring creative people inside. 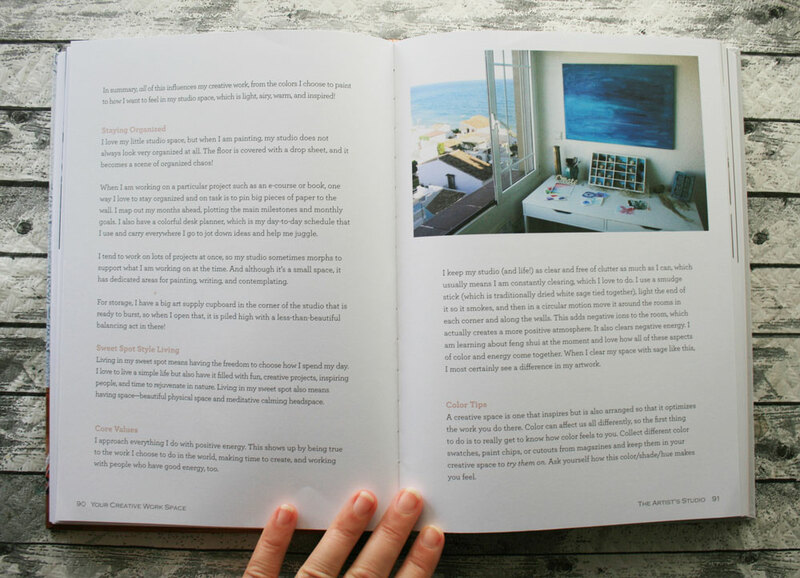 You will find my studio, feature and color tips featured on pages 86-93 – Here is a little peek into my feature in the book. On these pages, I talk about my sweet spot and my creative work. 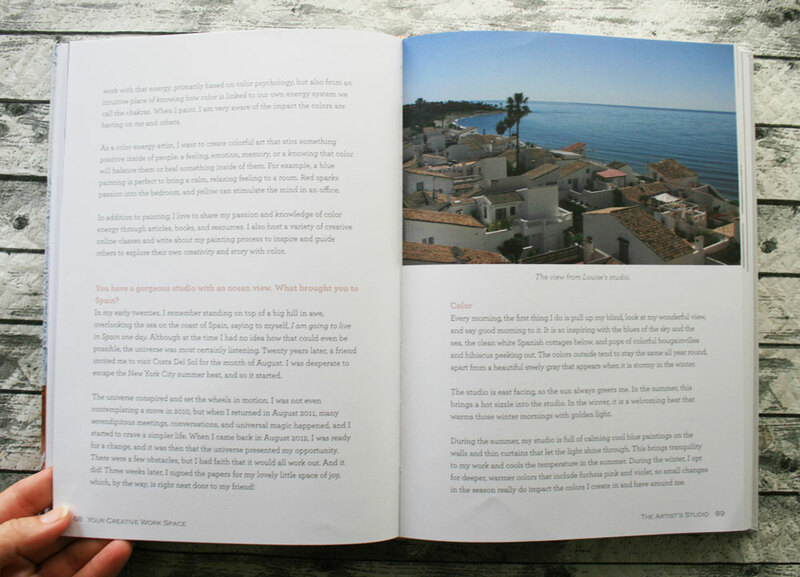 This page shows my beautiful view from my studio and I talk about my studio in Spain and color. I love my view and my teeny tiny studio by the sea. 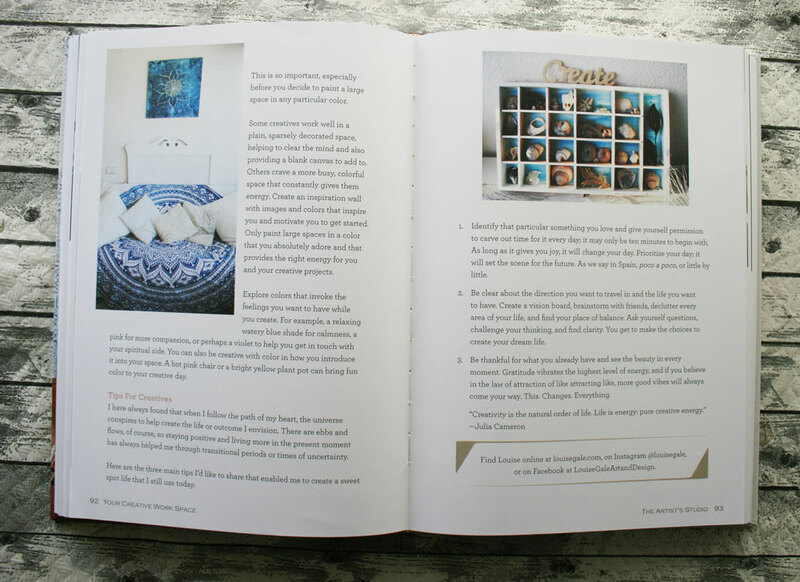 🙂 On these pages, I talk about being organized and offer some color tips. More color tips and general creative tips finish up my feature. CLICK HERE to find out more about the book on Amazon or you can order your own signed copy from Desha here. I would LOVE to hear what you think about the look of the book or if you have the book already, what you love about it. COMING ON THURSDAY, SEPTEMBER 7!